Last week, I wrote a column entitled “Brutality in the Brave New World” discussing an appalling movement within the scientific community in which researchers are exploring the “therapeutic” potential of the eggs of aborted baby girls. In a similar vein, a bioethicist writing for the Huffington Post in 2009 famously suggested that pregnant women wanting abortions be paid to remain pregnant longer so that their aborted babies yield more “useful” body parts. In the face of such moral depravity, the only conclusion to be drawn was that mankind has given itself over utterly to the appetites of ambition and avarice, and Heaven help those who find themselves the object of these appetites unchecked by moral standards. The sickening evidence in this trial shows abortion for exactly what it is: the deliberate killing of an innocent child. Abortion apologists can agonize and split hairs about the “complexity” of the issue ’til the cows come home. It will never change this irrefutable fact: There can be no doubt about the humanity of an unborn child. With every new advance in medical technology, the evidence of life in the womb only grows. Dr. Gosnell’s victims were no less people in their mother’s wombs than they were when they were delivered alive and their spines were snipped with scissors by Gosnell or one of his teenaged assistants. The change in their location did not change their humanity. There simply is no way to put a gloss on this. Dr. Gosnell is a product of a culture in which the rhetoric of choice has too long gone unchallenged. He is the product of a political climate in which fear of offending the pro-abortion lobby led our president (while an IL senator) to oppose giving medical treatment to infants that survive abortion. Gosnell’s ghoulish practice of killing abortion survivors is the logical extension of such a policy. 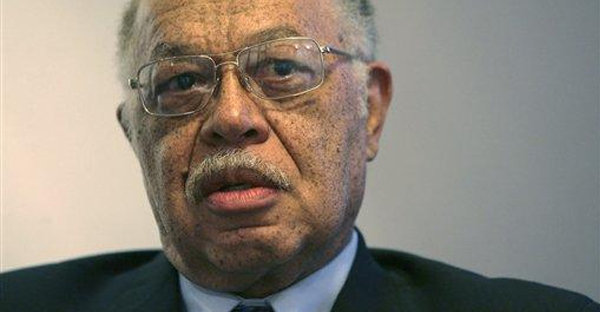 Gosnell could not have done what he did without a complicit government. His clinic had not been inspected in years. Why? Politics, plain and simple. Abortion is a sacrament embraced by the Left, and though they are generally champions of regulation, in this one area they favor a “hands-off” approach. And the regulators acted accordingly, turning a blind eye to the carnage right under their noses. Thousands of women passed through the doors of Gosnell’s pigsty. They came from the neighborhood, they came neighboring states, they came from around the country, but somehow the American people are expected to believe that no one knew what was happening. Teenagers were employed there as Gosnell’s henchmen, but somehow they never told anyone what they were participating in. Is such willful blindness not reminiscent of those Germans who smelled and saw the smoke of the crematoria and said “we didn’t know”? And, of course, the mainstream media has largely ignored the story. They don’t want to know – and they don’t want you to know – where their logic leads, and so they too have cast a blind eye and a deaf ear to the abhorrent facts of this case. Their silence is a tacit endorsement of Gosnell’s practice. Indeed, the editorial board of the New York Times apparently thought that this would be the perfect time to pen an article celebrating the opening of an abortion clinic in the same building that once housed late-term abortionist George Tiller’s offices. The editors lauded the “perseverance and courage” of those who spearheaded the effort, calling the project “inspiring and instructive.” Those who opposed the clinic, of course, are denounced as anti-constitutional, anti-woman extremists. To say we’ve fallen down a dark and dreadful rabbit hole is an understatement. Powerful forces are arrayed against those who champion the protection of innocent life. The culture has betrayed us, the media is in bed with the doctors of death and their radical feminist apologists, and the courts are well on their way down the same path. Nonetheless, the protectors of life must never give up. They must endure whatever insults, ridicule, and threats that come their way for the sake of the children who are being slaughtered and their mothers who are being exploited, and for the sake of a culture which is spiraling into the depths of depravity.